The biopharmaceutical industry paid $3.8 billion in wages to direct employees in 2006. 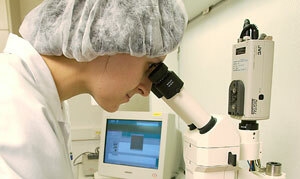 In 2008, New York was second in the nation with 5,053 clinical trial sites in the state. Additionally, New York shows its broad medical strength with high numbers of trials being performed for all 9 conditions studied. The top regions in the state for total employment are New York City, Long Island and Westchester. The regions that have the best “clustering” effect are Long Island, Rochester and Westchester. Between 1996 and 2006, nationally, employment in the biopharmaceutical sector grew twice as fast as all other sectors combined, 3.1% versus 1.4% compound annual growth rates. Additionally, each direct biopharmaceutical job supported 3.7 other jobs in the economy in 2006, as compared to 2.2 jobs in 1996. During that same time period, the industry was responsible for numerous breakthroughs, including the FDA approval of more than 400 new medicines. From 1999 to 2007, items in the development pipeline in the U.S. grew from 1,756 to 2,742 for a compound annual growth rate of 5.7%. However, the number of new entity approvals granted annually fell over that time period, from 47 in 1997 to 27 in 2006. In 1996, New York ranked third nationally in direct biopharmaceutical employment, behind California and New Jersey, and had risen to second place by 2006. However, New York State ranked 4th in 2006 in total biopharmaceutical employment, with New Jersey and Pennsylvania passing ahead of New York. This indicates that those two states have a greater clustering effect from direct employment than New York. However, the biopharmaceutical sector in New York should be seen as a growth area, with untapped potential given the balance of research resources and growth opportunities. The biopharmaceutical sector in NY is responsible for 55,446 direct jobs, 38,590 indirect jobs, and 36,428 induced jobs, of which 16,885 of the total are union jobs. In comparison to other states in the U.S., New York ranks second in direct biopharmaceutical jobs, behind California, and fourth in total employment due to the biopharmaceutical industry, behind California, New Jersey, and Pennsylvania. The analysis indicates that direct employment in the biopharmaceutical industry is responsible for $16.0 billion in economic output, indirect employment for $8.1 billion, and induced employment for $5.0 billion, for a total output of $29.1 billion. New York ranks fourth in total output, behind California, New Jersey and Pennsylvania. The average direct output per direct biopharmaceutical employee in New York is $288,182, compared to $155,443 for all other sectors. In total, New York State is responsible for 6.8% of the nation’s direct biopharmaceutical output. Regions in New York with the highest amount of “clustering” are Long Island, Rochester, and Westchester. The three regions with the lowest amount of clustering are New York City, Ithaca and Binghamton. Source: Report of Economic Impact of the Biopharmaceutical Sector on New York State.